Published on Monday, May 19, 2014. This article appears in the June/July 2014 issue of American Craft Magazine. 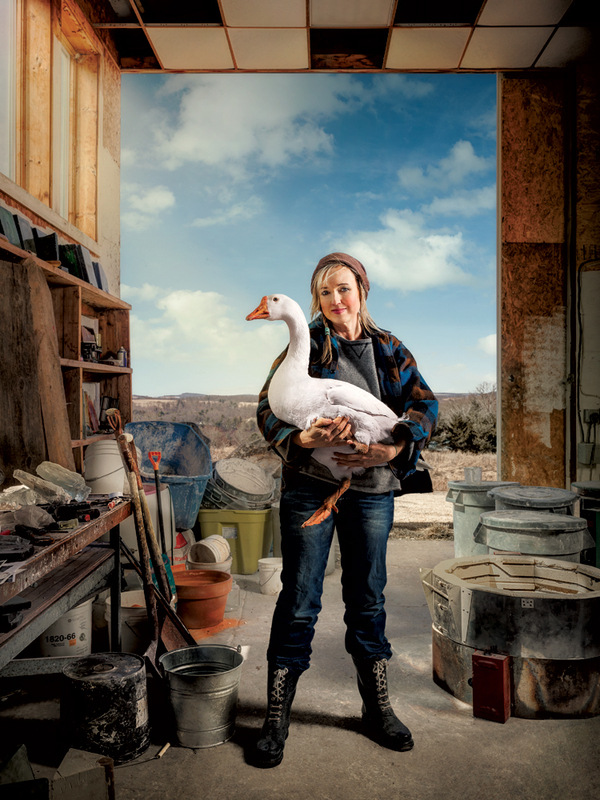 Christina Bothwell, shown with her faithful goose Gosle, started following her heart when she moved to the country. 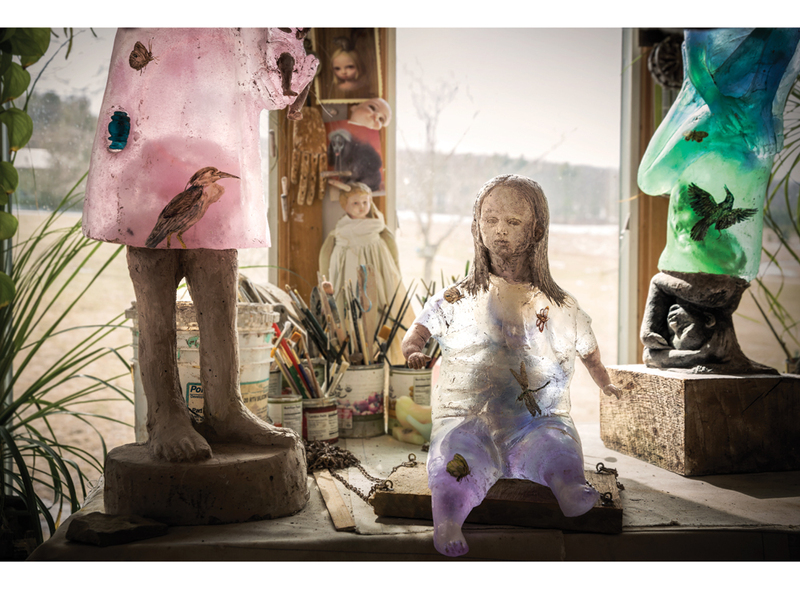 It was the eve of her first big New York show, and sculptor Christina Bothwell had the jitters. To calm her nerves, her husband suggested they go see a movie, any movie. The one they randomly picked starred Demi Moore as a sculptor who is delighted when a mysterious buyer (later revealed to be a killer, of course) snaps up a number of her artworks. “I said, ‘Wouldn’t it be great if someone went to my show and bought a bunch of my pieces like that?’ ” Bothwell recalls. The next night at the gallery, someone did – none other than Demi Moore. That kind of synchronicity has been happening to Bothwell all her life. As a little girl, she began having what she calls “experiences beyond the five senses,” such as premonitions of when people would die (a knack that would get her quickly herded out of the room at her parents’ parties). In her 40s, shortly after she learned she was pregnant, she had a lucid dream about a pair of brother-and-sister twins, whom she recognized as her children and who told her to have courage; weeks later, she discovered she was going to have twins, a boy and a girl. For her, these are glimpses of something more – a spiritual dimension, levels of energy and awareness that transcend the material world. 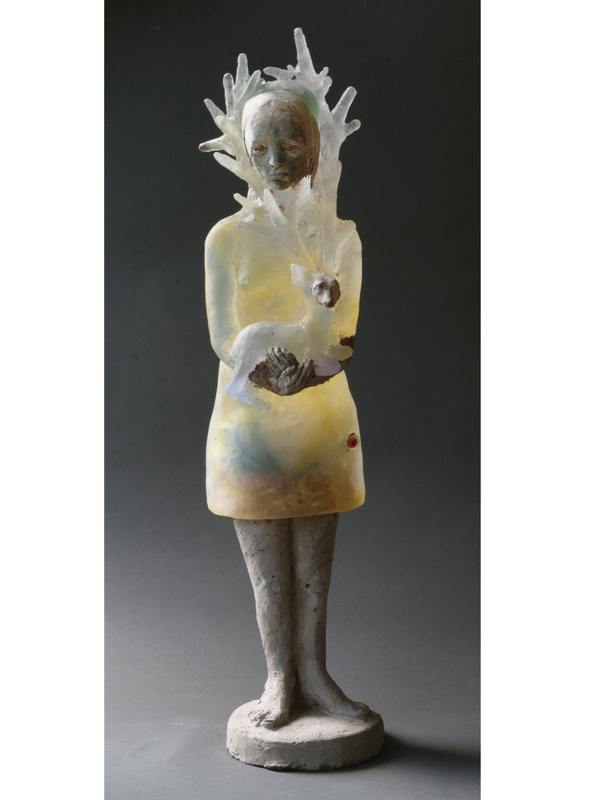 Combining elements of solid, earthy, pit-fired clay with translucent, ethereal, cast glass (along with touches of surface paint and the occasional found object), Bothwell’s figurative pieces explore the mysteries of body and soul, of things seen and unseen. Other content stems from her unconscious. “If I get an idea from a dream, that’s the best. It’s like a present,” she says. “Or I’ll be attracted to something as an image or an idea, and I won’t understand why.” After hearing a discussion on NPR about the emotional lives of octopi, she began making tentacled women. Later she saw this as a metaphor for how she and many modern women feel at times – overextended. Animals and human-animal hybrids are among her favorite forms. 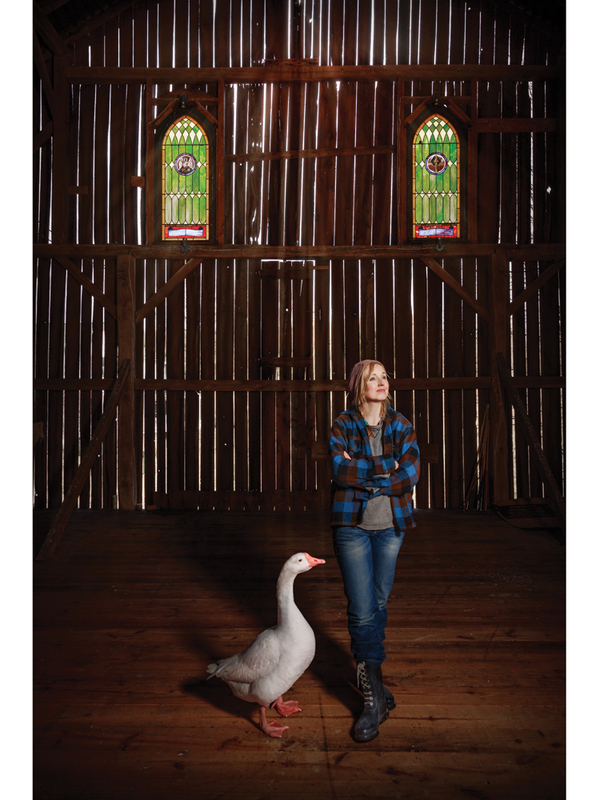 She thrives close to nature, living in the central Pennsylvania countryside with her husband, Robert Bender (a writer and illustrator of children’s books, who recently took up glass art himself), their 11-year-old daughter, and the twins, who are 8. Her studio overlooks acres of rolling hills and forests full of wildlife, a constant source of inspiration. One freezing morning, she was traveling in her car along a nearby dirt road. “It was like driving through a lace doily. All the tree branches were encased in ice, and the sun was shining. I drove past a creek, and there was this magnificent deer, with huge antlers, drinking. He looked up at me, and he was so beautiful.” At that moment, she realized it was hunting season and felt an acute, overwhelming love for him. “It was a feeling of beauty and vulnerability, wanting to protect that.” The result was the recent Garden of Pretty Things – a female figure tenderly holding a deer, their spirits commingling. 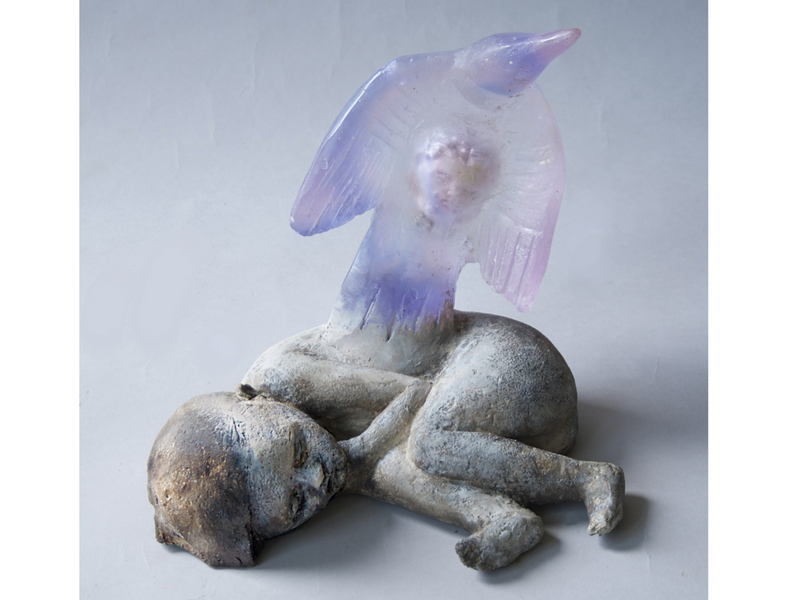 Beautiful as they are, Bothwell’s creatures can be unsettling, with their still, serene faces, preternatural forms (often with other entities visible inside their translucent glass bodies), and hard-to-miss allusions to birth and death. The artist, whose manner is down-to-earth and cheerful, says she’s not trying to creep anyone out. It’s just that her art invites us to go deep, to ponder what lies beneath and beyond, and maybe arrive at some personal truth. No wonder some of the people who love her work the most, she says, are psychologists. Another woman, in mourning over the death of her identical twin, asked Bothwell to make a piece about the two of them. She spoke of lying in bed one night, despondent, when suddenly she sensed the presence of her sister enter the room, get into the bed, and spoon with her as they had done in life. Tethered to My Heart (2013) depicts this experience, and – to Bothwell’s joy as a mother of twins – brought the bereaved woman comfort. Finding her artistic voice, however, was an ongoing challenge. 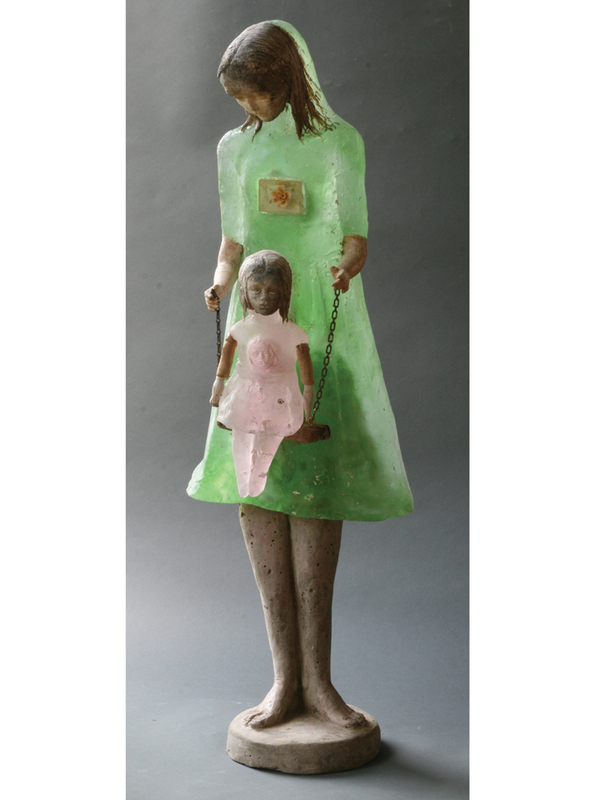 By the late 1990s she was having some success making doll-like figures out of clay, found objects, and old, faded cloth. Still, to her frustration, dealers felt the work had a disturbing quality that sometimes was a tough sell. “They would say, ‘If you could just do sculptures of dogs.’ I got to the point where I felt like I couldn’t work at all, because my ideas were no longer allowed to come from me. I was withholding so much in order to have success and money.” Burnt out, she went on hiatus, tried other things – a cooking class, papermaking. Her breakthrough came in 1999 when she took a glassmaking workshop at the Corning Museum. Glass, she realized, could do all the same things as clay, and had the elements of delicacy and lightness her work needed. It was the expressive direction she’d been looking for, and she’s been combining the two materials ever since. Joyce Lovelace is American Craft’s contributing editor. 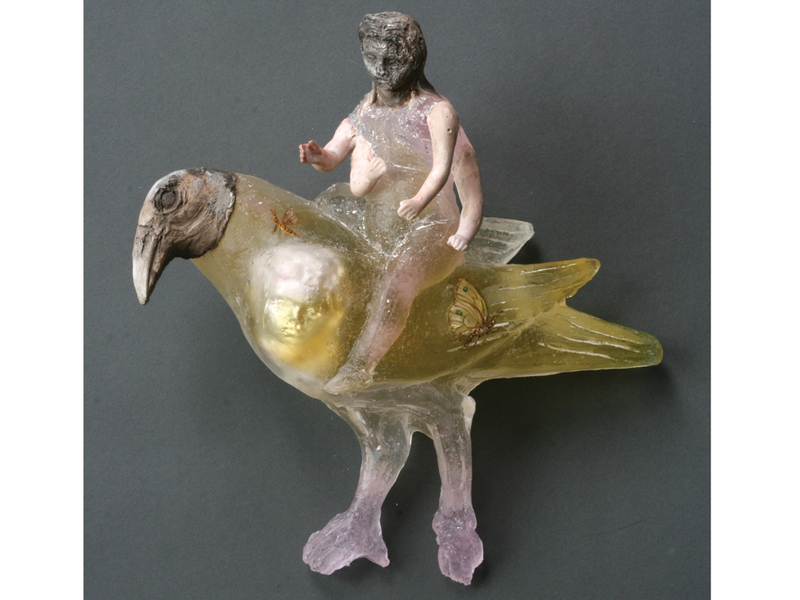 Lord Vishnu Riding on Garuda, 2014, cast glass, raku clay, found objects, oil paint, 11 x 10 x 4 in. Some of Bothwell’s most recent work in her studio, including Swing (2014), center. 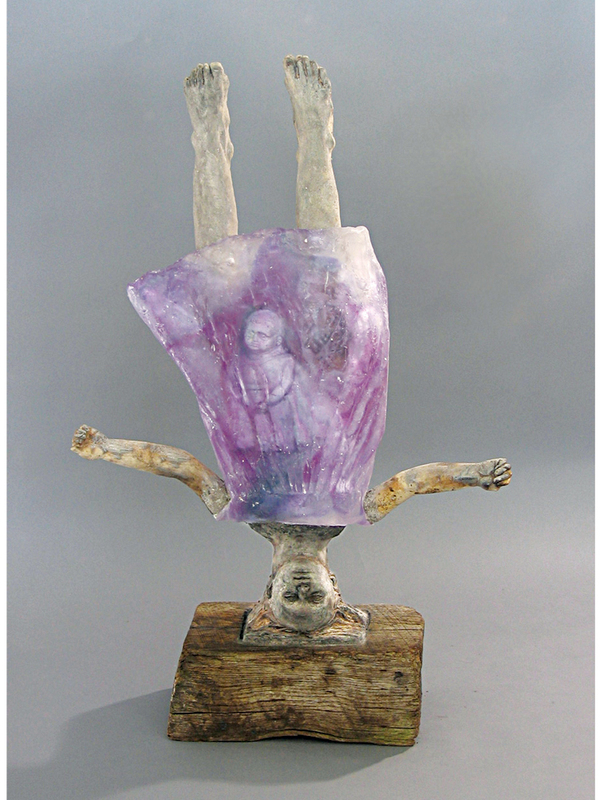 I Fell into a Dream, 2005, cast glass, raku clay, found object, taxidermy, 28 x 27 x 25 in. A Heart That’s True, 2005, cast glass, raku clay, wood, 33 x 20 x 11 in. 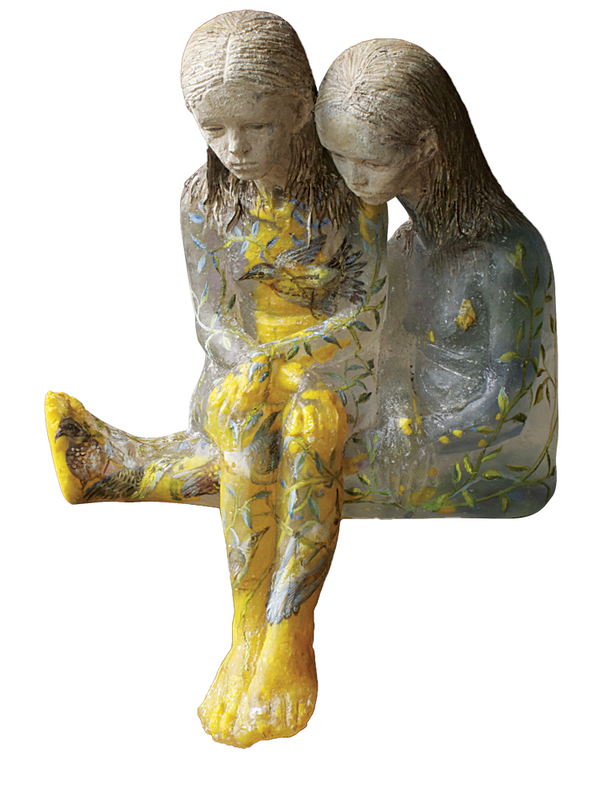 Dreaming in Color, 2013, cast glass, raku clay, oil paint,14 x 12 x 7 in. 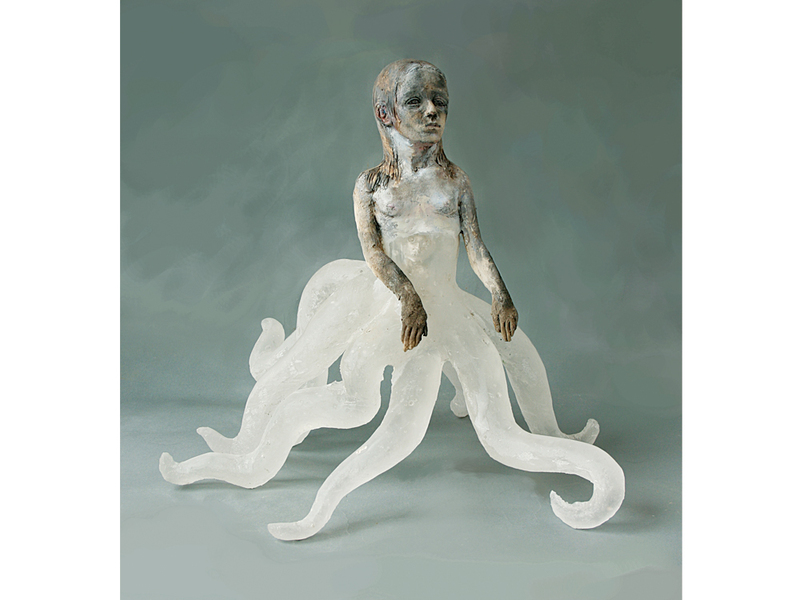 Octopus Girl, 2009, cast glass, raku clay, oil paint, 17 x 24 x 21 in. 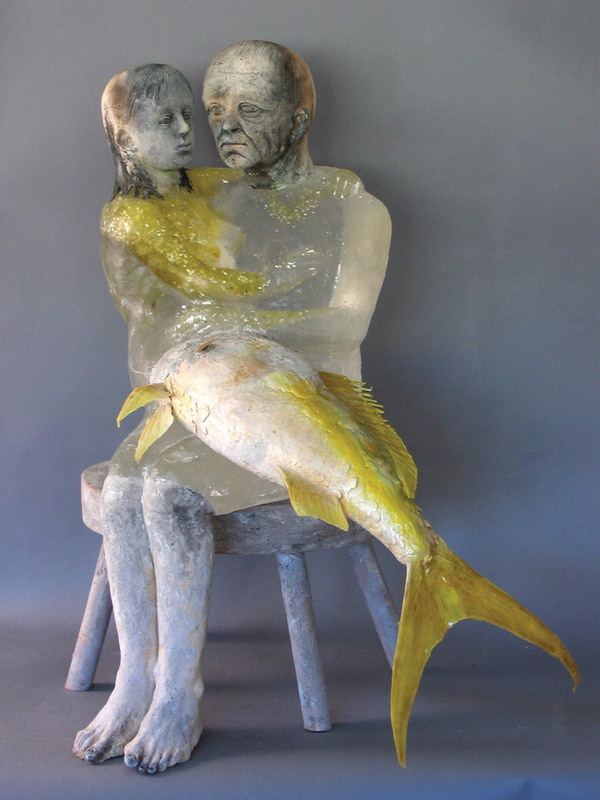 Suppose We Never Met, 2013, cast glass, pit-fired raku clay, oil paint, found object, cement, 36 x 10 x 8 in. A Window Where You See the Moon, 2013, cast glass, cement, raku clay, found objects from Hurricane Sandy, 37 x 14 x 11 in. 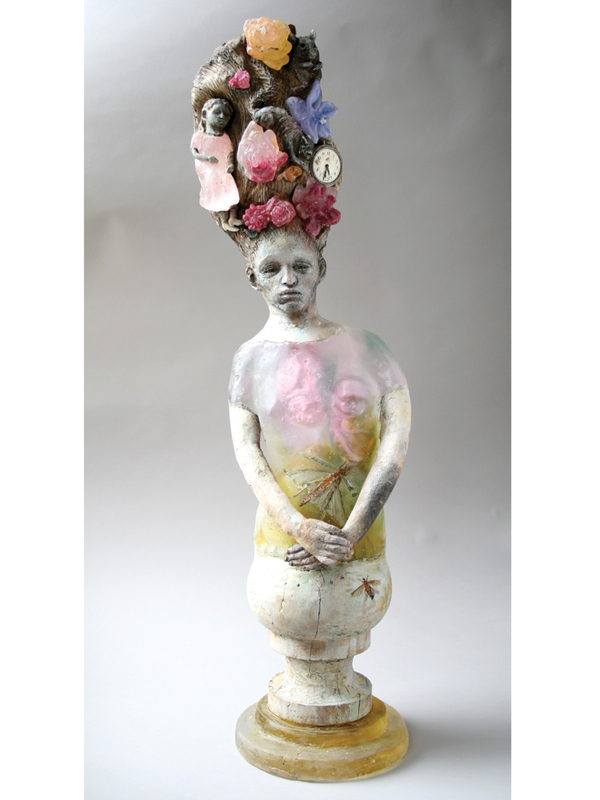 Hair, 2011, cast glass, raku clay, found objects, oil paint, 37 x 12 x 9 in. 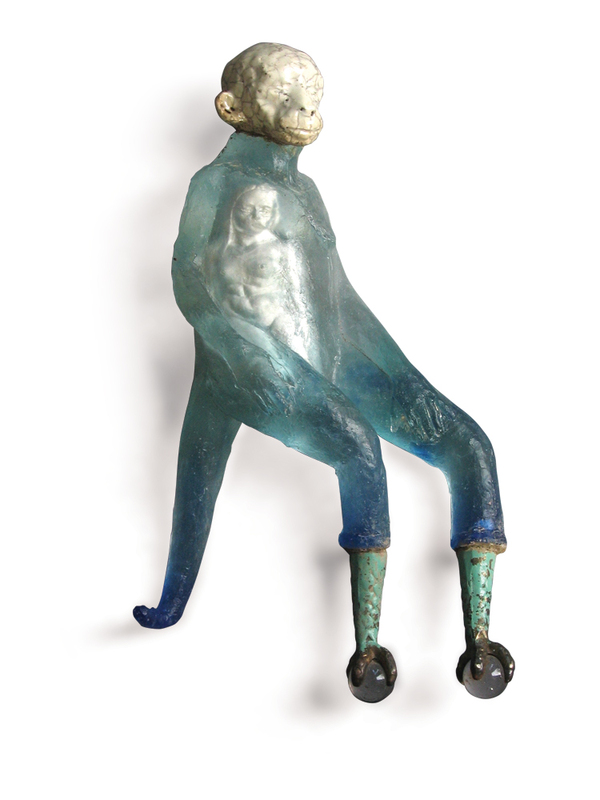 Evolution Is a State of Mind, 2008, cast glass, ceramic, found object, 17 x 6 x 3 in. 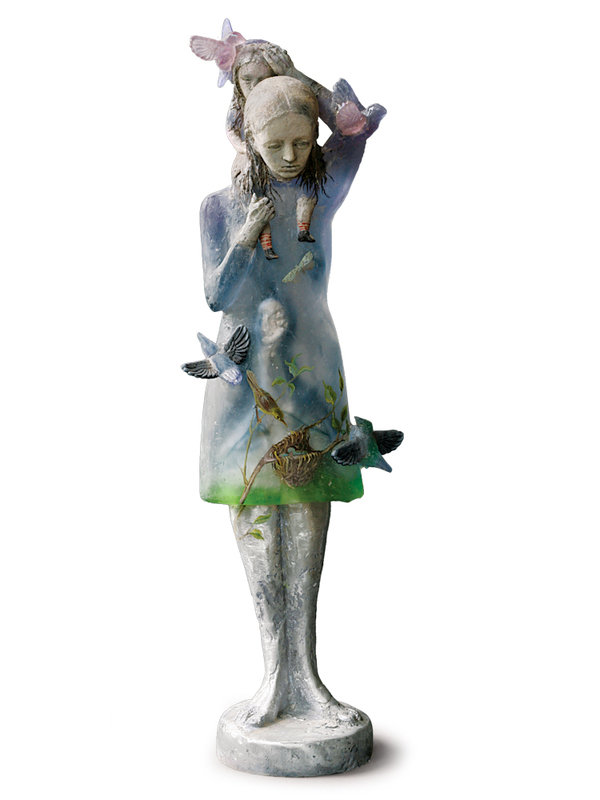 When Bothwell discovered glass, she began to incorporate elements of delicacy and lightness into her ceramic sculptures.